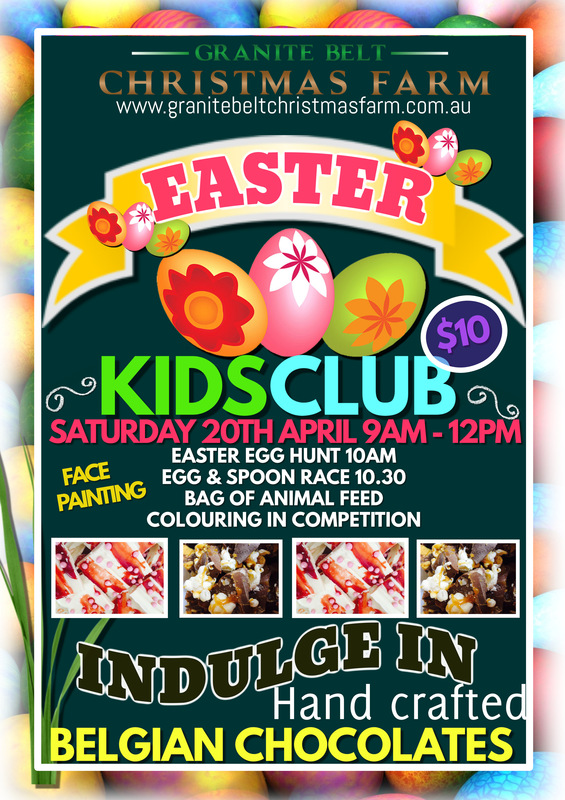 Kids Club 9am – 12pm $10 per child – Must be supervised at all times. 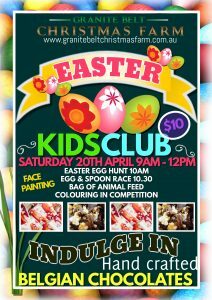 Includes Colouring in Competition, Easter Egg Hunt 10am, Egg and Spoon Race 10.30am and a bag of animal feed. Our Mistletoe Store will have an extensive range of Belgian Chocolates to indulge in all weekend which are all handmade on site. Don’t forget to try our famous Belgian Hot Chocolate. A great day out for all ages.